Life used to be simpler. Machines used to be too. It’s fascinating how addicted we have become to a more complicated lifestyle--more complicated homes, foods, movies, vacations, personal devices and vehicles. There doesn’t seem to be any escape from the accelerating complexities surrounding our routine productive and treadmill-like lives. At least until I received a special invitation…to simplify my life for one week. That isn’t totally an accurate statement—I thought it too good to be true at first. As a powersports executive and start-up entrepreneur I have been on lots of photoshoots for lots of various cool products, but this invitation was for a very different product to be photographed and videoed in a very different sort of place. 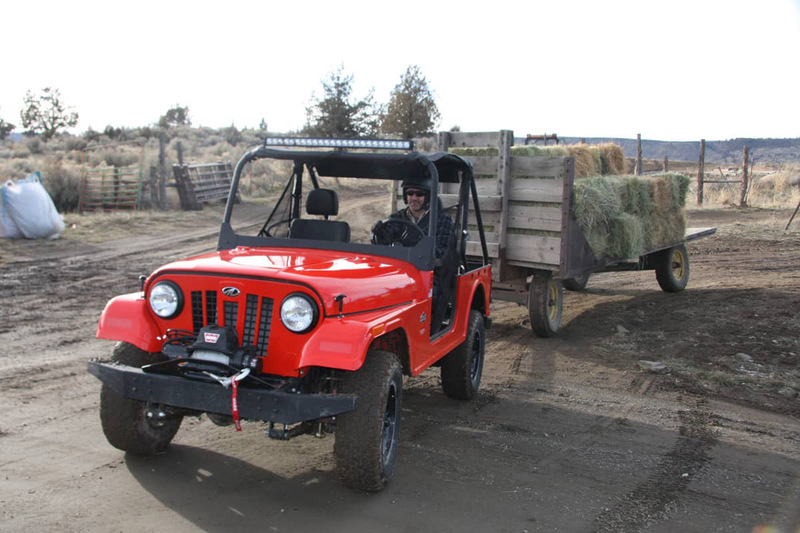 Mahindra’s new off-road side-by-side ROXOR was on its way to central Oregon where its essential brand formation was about to be cemented in the back country where it was designed and built to thrive. I would have a job on this project so it wasn’t going to be exactly a vacation in the woods. “Hey Eric!—bring props, helmets, fuel cans, tools, camping gear and spare parts along with a willingness to work 14 hour days,” were the orders from the agency. I jumped at the chance to work in an outside office surrounded by mountains, streams, elk, bull trout and even an Oregon wolf pack. Because of my business relationship with Mahindra Automotive North America, I had watched this brand be born and evolve to a point where it was ready to be revealed to the North American public. It is a product with a 70-year legacy starting with a license from Willys Overland in 1947, the same year my vintage Indian Chief was built. Zounds! That’s before I was born! 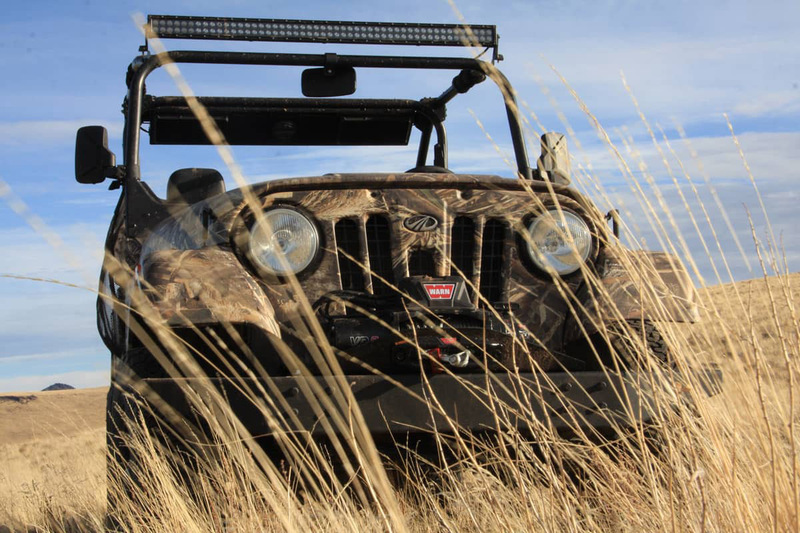 Not only has a version of this product been around for 3/4 of a century, it has been “off-road tested” longer than any other UTV or ORV on the planet. The modern American public hasn’t seen anything like this for a long time…because it’s simpler than anything on the market. It’s sort of like a premium analog watch brand touting its fundamental features of durability and simplicity. Now, isn’t it funny how some things cycle back into our lives? The ROXORs we would be driving in Oregon for the cameras were conceived, engineered and assembled in Metro Detroit (Auburn Hills) by Mahindra Automotive North America (MANA) from parts either imported from mother India or added by American accessory-supplying vendors like BF Goodrich tires, Bestop convertible tops, PPG paint, Grant Steering wheels and local electrical lighting suppliers. All would be assembled in the newest 140,000 sq. ft. OEM manufacturing/assembly facility to open operations in Southeast Michigan in over 25 years. Yes, this product along with others being designed inside MANA, is making jobs for thousands of American auto engineers, assembly technicians, sales/marketing staffs and logistics employees. This is a massive operation supported by an Indian company which got its start as a licensee from an American company. It’s come full circle. Mahindra is already full engaged in global vehicle design and manufacturing including tractors, airplanes, passenger vehicles and military machinery. The legacy one feels when driving one of these vehicles is amazing to the senses. As a child raised on a walnut farm in north San Diego, California, we of course, owned an Army surplus WWII Jeep. It was used as a tractor, stump puller, hay hauler and joy-riding machine. I learned to drive a stick at age 10 sitting on a phone book plopped onto OD (olive drab) green canvas covered seats. The machine was so simple, I learned to work on it myself with a little prompting from dad. Changing the oil was a snap. Flushing the radiator every couple of years was mastered in all of 20 minutes. It even accidentally rolled into our fishing lake and stopped with water up to the dashboard due to my mistake of forgetting to apply the parking brake. Dumb, but no foul since it started right up and reversed out of the muck with only a burp and bubble of exhaust from the driver sided-muffler. ROXOR’s return to simplicity and basic fundamentals during a time of increasing complexity, speed and power is a significant departure from the powersports norm. While most UTVs and side-by-sides are racing to a planned annual obsolescence, ROXOR is reversing that trend by subscribing to planned timelessness. They won’t be bragging about 20 more horsepower, new body styles or an additional 3” of suspension travel next year. Nope, watch for them to not brag at all since they have pretty much one of the longest running off-road vehicle stories in history. Slow and steady wins the race in their opinion, so you won’t see them on the podium of the Baja 1000 anytime soon. But, you might see them retracing American history by exploring iconic trails like the TransAm Trail, Pony Express Trail, Emigrant Trail, Lewis & Clark Trail and the Continental Divide Trail. Join them to smell more roses and not speed past them. 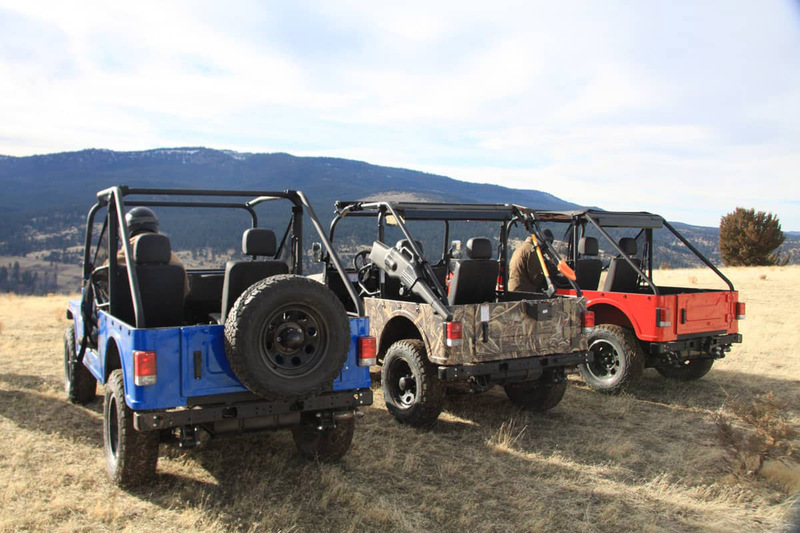 And look for them to expand into education teaching all generations of new and current OHV customers more about good old-fashioned, off-roading…with a dose of added American history. 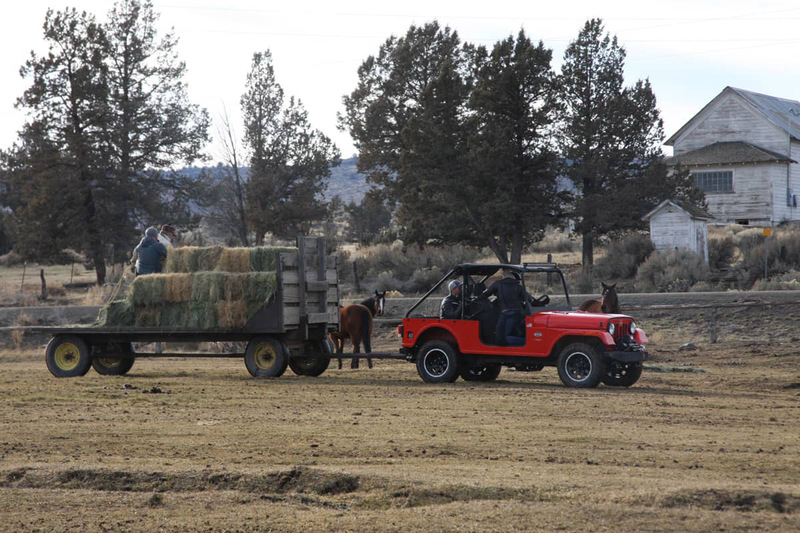 I had heard about these monstrous Oregon ranches where one could go anywhere our ROXORs would take us. A camera car and drone would either lead, follow or get the hell out of our way. One doesn’t have an idea or concept of size until one can “see it” or “measure it” with some familiar metric. The GM of the Antone Ranch which caters only to high-end hunters and fishermen stated their “spread” had over 200 miles of dirt roads criss-crossing over 35,000 acres. OK, now I understand the meaning of vast! It’s beyond what the eye can see….and it’s all owned by one man and his family. I can get into this kind of work especially if my view is going to be from a cockpit, camp or folding chair with a scenic backdrop. 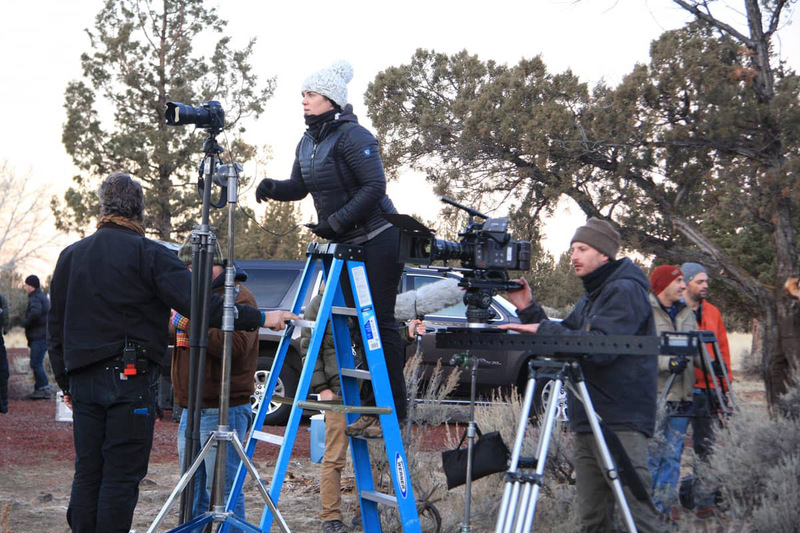 The project wasn’t a cake walk, but the views were incredible and the crew was equally so. 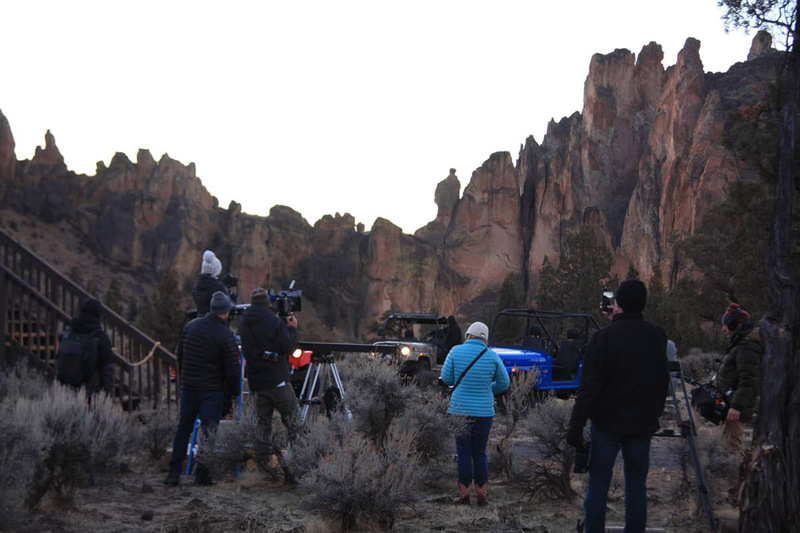 Everyone meshed together to “get it done” even when one of the precision drivers tried to drive through a tumbleweed at the side of the road which was hiding a 36” ½ ton granite boulder. His ROXOR unit went from 25 mph to zero in .025 seconds. The tire blew out. The shock buckled. Tie rods and steering rods were bent. The leaf spring was also “taco’d” at the back end, but not broken. Now if this had happened to a more modern SXS it would have been “trailer time,” but not so for a ROXOR. The front left corner of our unit was apart in 25 minutes while I drove to town with a ripped sidewall BFG K02 and a bent shock. While Les Schwab refitted a new tire, I drove around the corner to another shop selling shocks. I matched one up as closely as possible before grabbing the newly tired-wheel and skedaddling back to the shoot location 35 minutes away. The stripped and re-bent front end awaited for new bolt-on parts and we were running again with a total down time of 95 minutes. While I was away, the leaf spring was straightened by backing a truck over it…carefully. 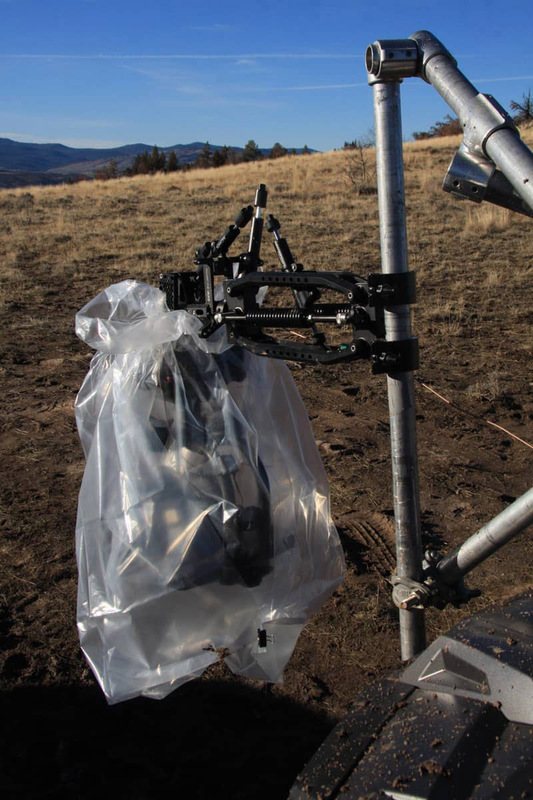 The steering link was also straightened using a hydraulic jack and a tow strap. This is true off-roading at its best using all the off-road tricks learned in Baja, Moab, the Sahara and Rockies. Simple stays simple. Simple repairs simply. The “mission” of ROXOR is to highlight the simplicity and essence of off-highway exploration in our exceedingly complicated, 21st century lives. Such adventures from our urbanized dwellings out into nature—either big or small—are a necessary and ingrained part of our nomadic, primeval spirits. 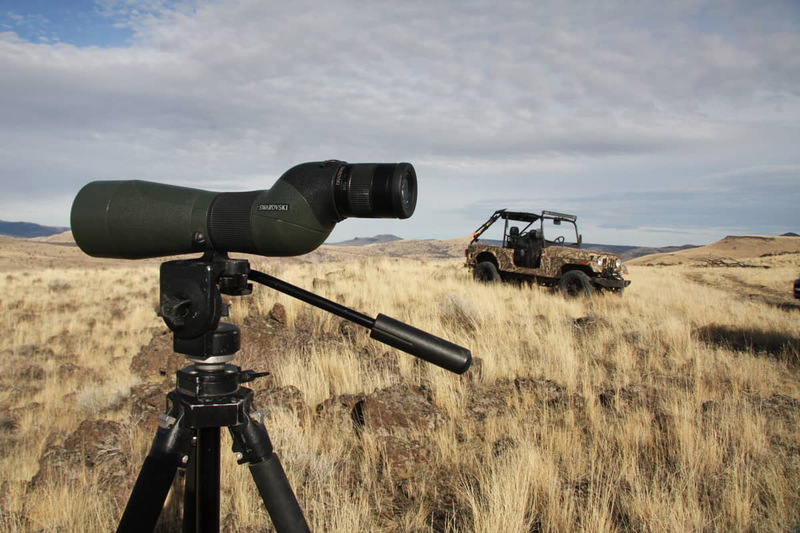 Our very nature requires scanning the horizon and wondering what’s on the other side of it—and one does not need a $50,000 luxury SUV to get there. 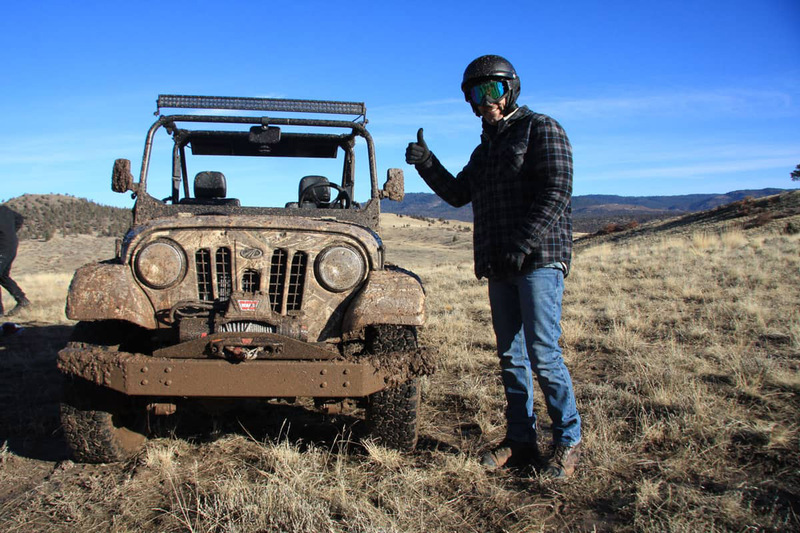 This recent simplified OHV experience put me back in touch with who I was inside. I (re)realized that I don’t need to spend beaucoup dollars to have a great time out in nature. In fact, a simpler “back-to-basics” vehicle like ROXOR will not only travel across the distance to your chosen horizon—it will also take you through a simpler, memory-packed adventure emphasizing the suuroundings. It’s now more about the experiences of the trip and less about machine that takes you there. Simple and Mission: READY! !